I haven't done an official 'It's Monday!' post in a long time and just felt like throwing one out there! HOWEVER, apparently my mind and the fates have aligned on this occasion. I ended up choosing Mr. Ridley by Delilah Marvelle from a selection of five, with only one other book being one I actually wanted to read at this time besides Mr. Ridley. So I'm quite content. With 24in48 coming up, as well as my sluggish reading as of late, I'm really only seeing that I'll be more active over the readathon weekend. Unless I finish another book between now and then, there probably won't be another review coming out. There may or may not be an update for The Disappearing Spoon, just as a general "How are things going?" for The Flat Book Society... or maybe even an update if I stumble upon interesting quotes for either of the other two books. The only reason I haven't started reading Mr. Ridley yet is mainly because I wanted to focus on The Disappearing Spoon and Lethal White over the weekend. Now that I've made more progress with them, at least with The Disappearing Spoon, I might go ahead and jump into Mr. Ridley. 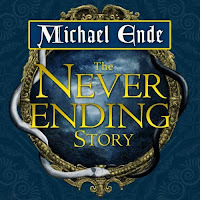 As for The Neverending Story... that one's kind of slow going, but I'll take some time at some point to do some mind-numbing activity as I listen to it. Otherwise, I'm foreseeing a rather quiet blogging week, really.